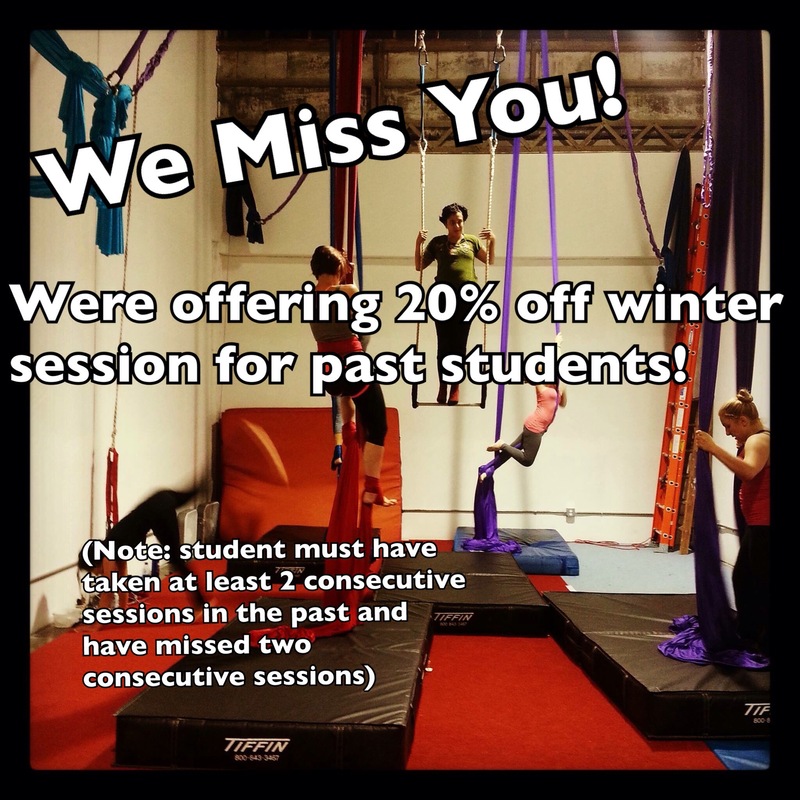 Fly into Fitness this winter with Air Temple Arts! 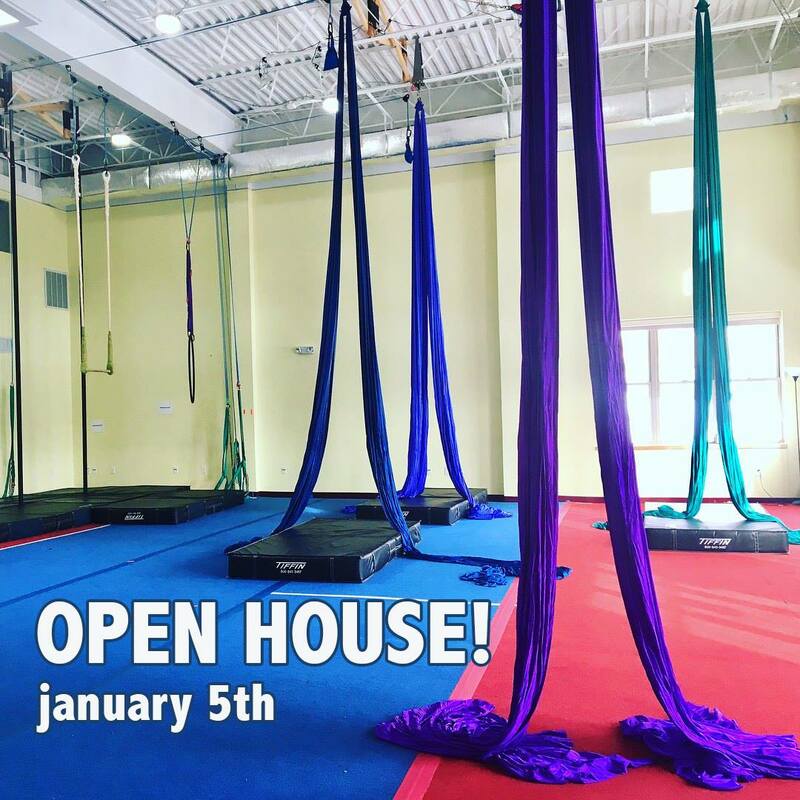 Air Temple Arts is hosting a Winter Open House! 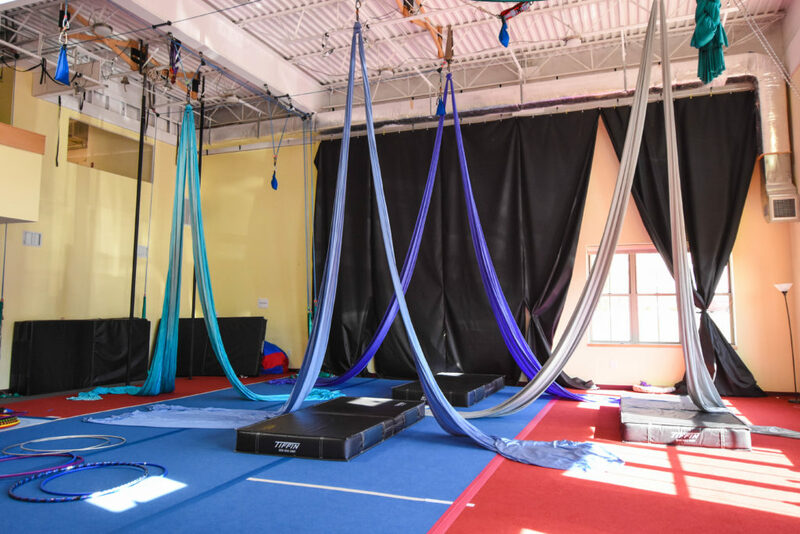 From 11:00 am to 1:00 pm on January 5th we will be hosting a variety of FREE taster classes in silks, trapeze, and lyra for kids and adults! All taster classes not labelled ‘Youth’ are for students ages 13+ ONLY. Please arrive at least 5 minutes prior to the start of your taster class to fill out a waiver. 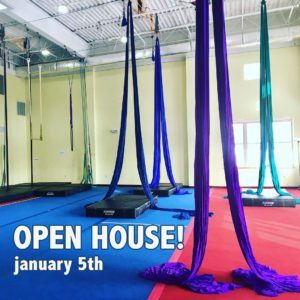 Air Temple Arts is hosting a Winter Open House! From 11:00 am to 1:00 pm we will be hosting a variety of FREE taster classes in silks, trapeze, lyra, and ground skills for kids and adults! Join Air Temple Arts for a quick hop in the Delorean as we bring it back to the Greatest. Decade. Ever. Circus + 80’s is an unbeatable recipe for an unforgettable night. 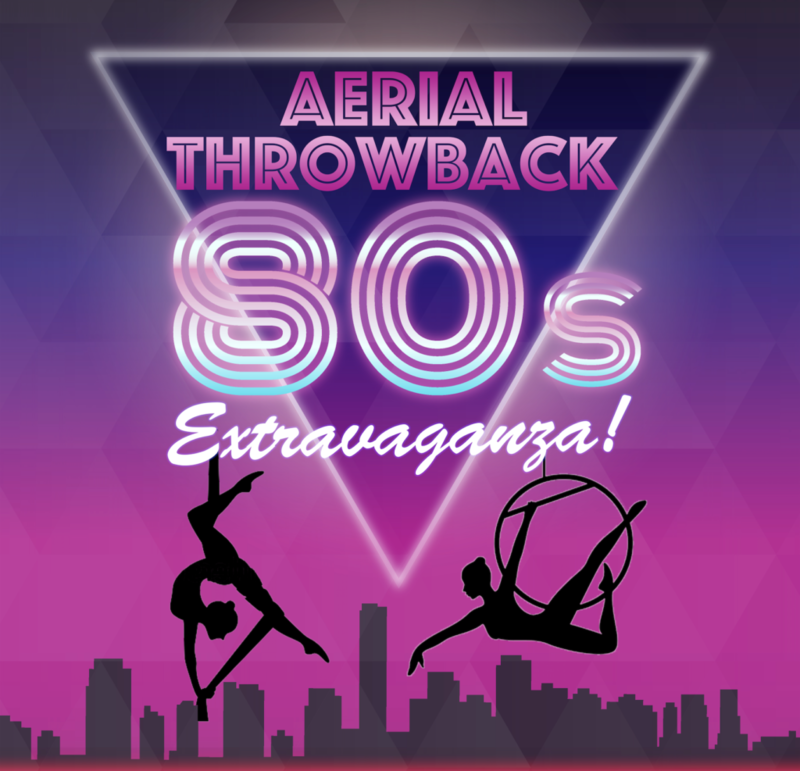 Performances featuring Aerial Silks, MJ, Contortion, Prince, Chinese Pole, Run DMC, Flashdance, Acrobatics, Footloose, The Clash, and more! You best 80s finery highly encouraged. 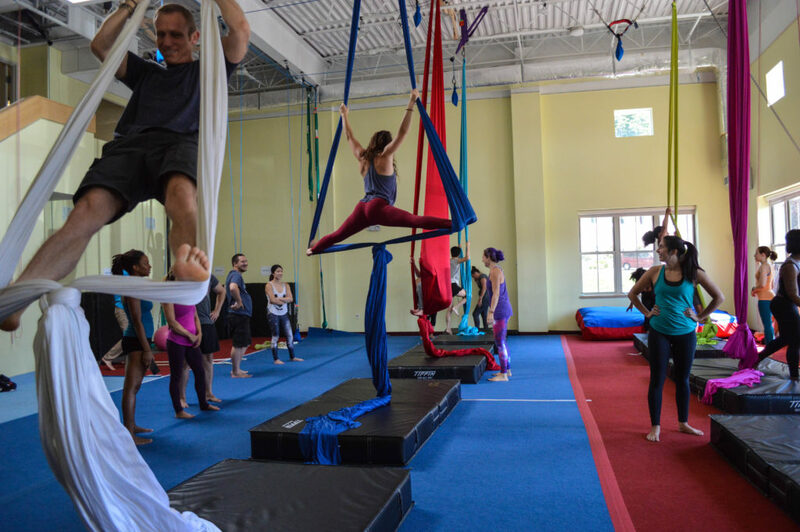 Air Temple Arts is hosting a Fall Open House! 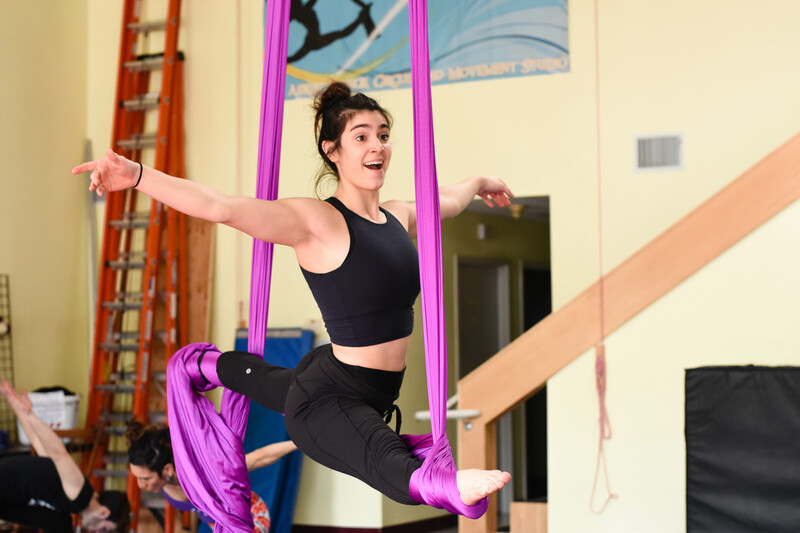 From 11:00 am to 1:00 pm we will be hosting a variety of FREE taster classes in silks, trapeze, lyra, and ground skills for kids and adults! Open House and Opening Reception! Join us on January 9th for an all day extravaganza celebrating the move to our new space! 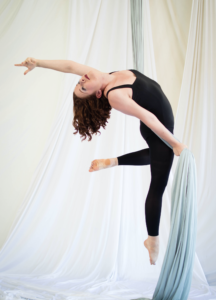 From 10:00 am to 4:00 pm we will be hosting a variety of FREE taster classes in silks, trapeze, lyra, handstands and tumbling! There will also be an obstacle course for the kids (or adults!) to try, and lots of other fun things to do! This event will run until 4:00 in the afternoon. And, to make it even more fun, new students who register for classes at the Open House will receive a 10% off the first session of classes! Then, after our day event, we will open up AGAIN at 7:00 to 9:00 for casual performances by our talented students. This evening event will have a cover charge of $10.00. Holiday Discounts and Gift Cards! 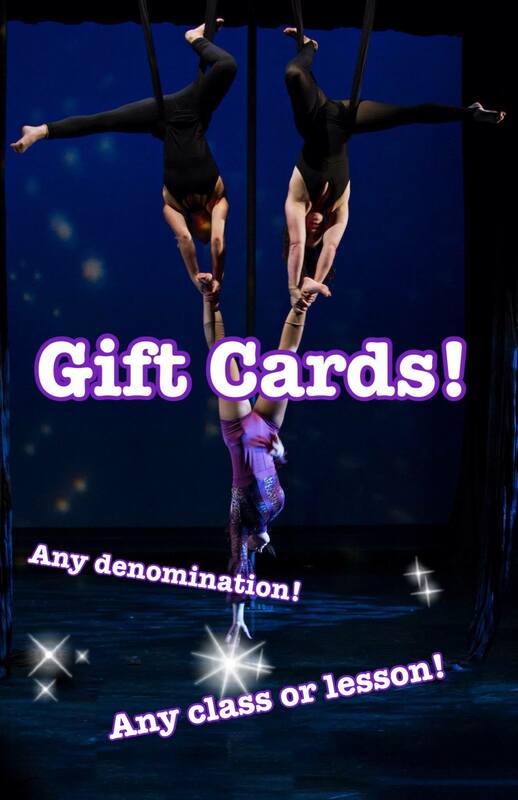 We’re offering several great discounts on aerial and circus classes this holiday season, as well as customizable electronic gift cards! Stumped for what to ask for this non-denominational holiday season? Why not an Air Temple gift card?! You can purchase them in any amount and they can be used for anything from classes to private lessons and more! To buy follow the link below, click on ‘Online Store’ and then‘Gift Cards’! For existing students, if you get a friend (must be a new student) to enroll in classes for winter session, you’ll BOTH get 10% off your session! 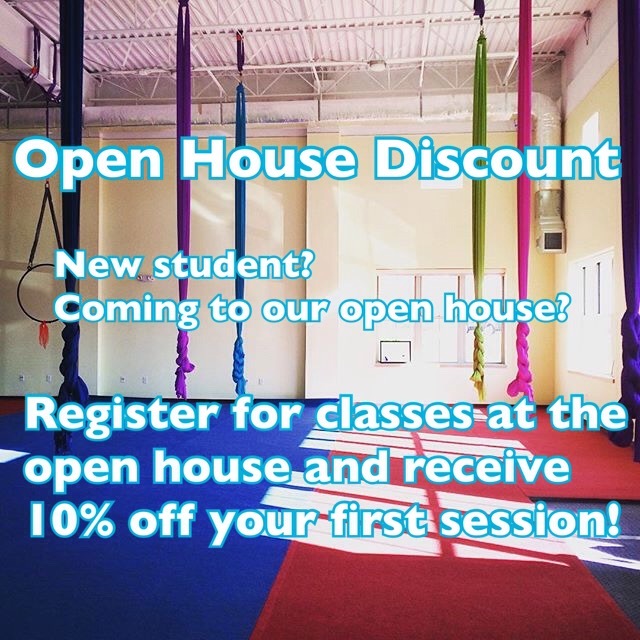 New students who register for classes at the Open House will receive 10% off their session! Email us to get the discount codes! 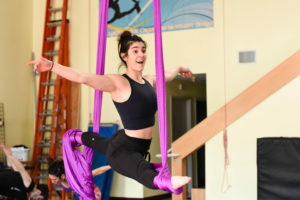 We offer private lessons in a wide range of circus disciplines and apparatuses, including but not limited to: aerial silks, aerial hoop, static trapeze, contortion & general flexibility, Chinese pole, hand balancing, partner acrobatics, aerial sling (hammock), Spanish web, juggling, aerial partnering, tumbling, stilt walking and more. By default private lessons are 1 hour, but can be scheduled for mot any length of time. Cost: $60/hr for 1 person, $75 for 2, and $35/per person beyond that. 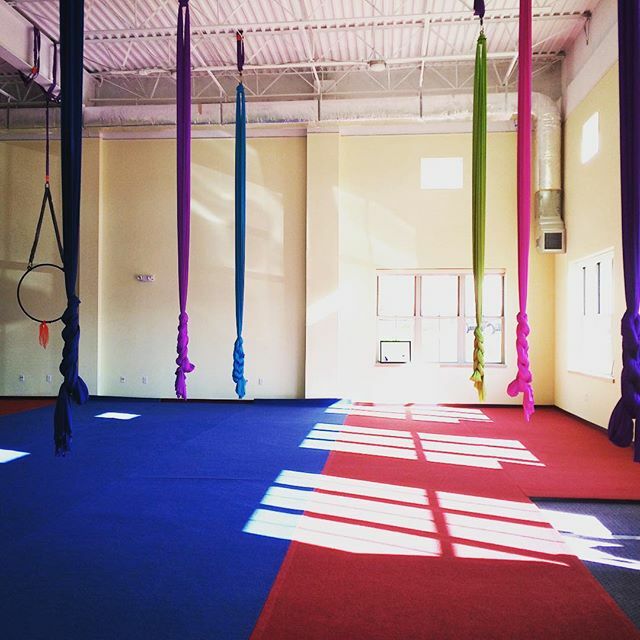 Students wishing to schedule a private lesson must create an account with us on MindBody. Private lesson cancellations and tardiness: All scheduled private lessons must be cancelled at least 24 hours in advance. If you must cancel your lesson in less than the stated time you will be charged the full amount on your account. 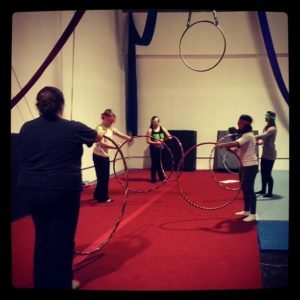 All private lessons occur in the time slot they are scheduled for. If you are late, you may ask your instructor if you can extend your lesson. All extended lessons are charged in the same manner as our scheduled private. Eg: $10/10 minutes for a single student. All private lessons must be pre-paid, and requested through the form below. Once your lesson has been confirmed by us, you will be given instructions on how to pay. For groups larger than four, please email the studio to schedule your lesson or workshop. Air Temple is moving and expanding! 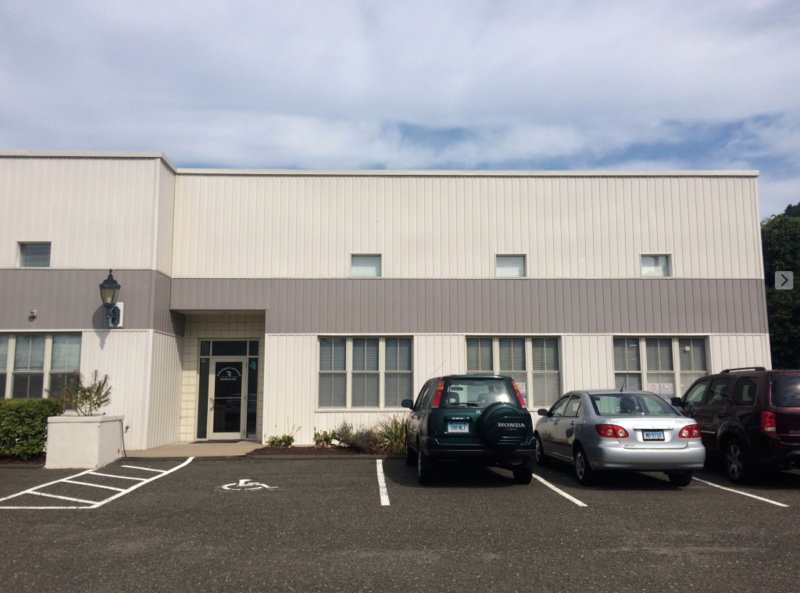 Come mid November we will be moving to a beautiful new space located at 11 Research Drive, Woodbridge/New Haven! Our new 4,200sf space feature central air, skylights, wifi, bathrooms, a kitchen, a study lounge, a separate classroom and more! The space is located off of routes 69 and 15. Please note the move will occur MID SESSION. We will have more details, as well as opportunities to volunteer, shortly!